I've always thought the Dacia Duster is the ideal farm/country estate hack as it's cheap, spacious and tough. 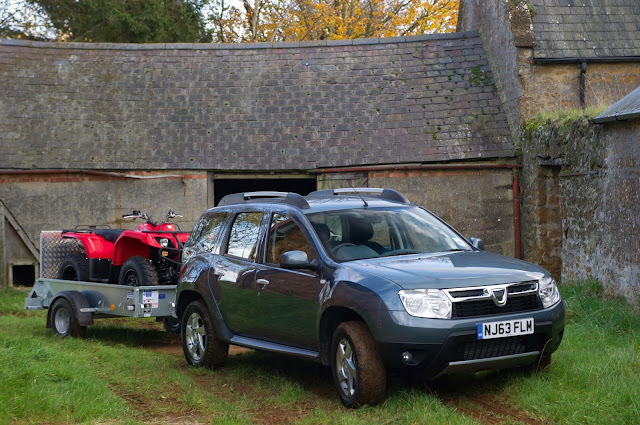 Dacia clearly think so too and are unashamedly chasing after the farmer-on-a-budget market with the ATV Pack that's now available on the Duster. Ticking that particular option will get you a towbar, an Ifor Williams trailer and a Yamaha Grizzly quad bike. Choose between the basic 2WD 125cc version for £5,400, or the 350cc with 2WD or 4WD for £7,800. You can spec it on any Duster model, so at its cheapest you get car and quad for £16,495. You can retro-fit it to an existing car, too. 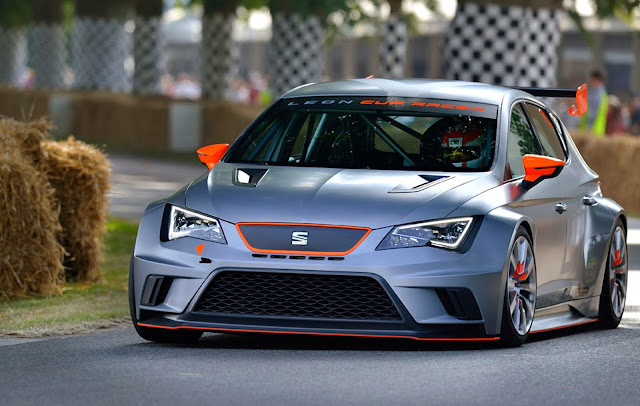 Since May, SEAT has been hawking its new Leon Cup racer around. It's a pretty serious piece of kit: 300bhp+ from a 2.0-litre turbocharged engine, choice of DSG or sequential gearboxes, full race suspension and brakes, an aerodynamically-effective bodykit and those wheelarches that add 40cm to the car's width, and all the usual safety gear. All for EUR70,000 with the DSG (EUR95k with the sequential). It was inevitable that SEAT would run a one-make series for the Leon Cup as it has with previous generations of the car since 2003. And so they have announced the 2014 SEAT Leon Eurocup that'll run over six rounds in six countries, using the DSG version of the car. No doubt various national Leon Supercopa championships will follow - previous versions have run in eight countries. At EUR70k the car itself is very good value. I doubt it'll be all that expensive to run either and it'll be eligible for many more racing series besides. If you can swap between DSG and sequential 'boxes, it would open up a whole world of possibilities. Am I starting to sound like I want one? 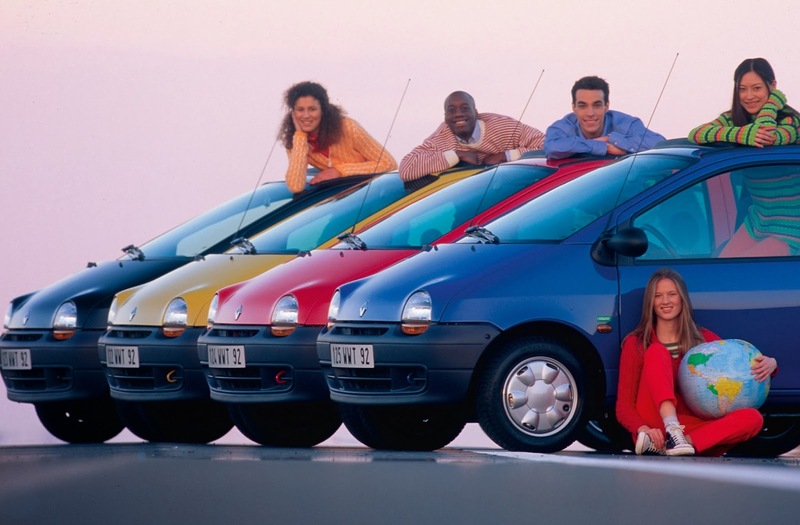 The Renault Twingo is 20 years old. We never got the cheery and cheeky first-generation version in the UK, though I'm sure some you had one as a holiday hire car. It looked like a shrunken Espace and was surprisingly spacious. The second-gen version arrived on our shores in 2007 (the Mk.1 lasted 14 years) and though the cooking models arguably aren't as characterful as the original, the Renaultsport version is a suitably exuberant little pup. 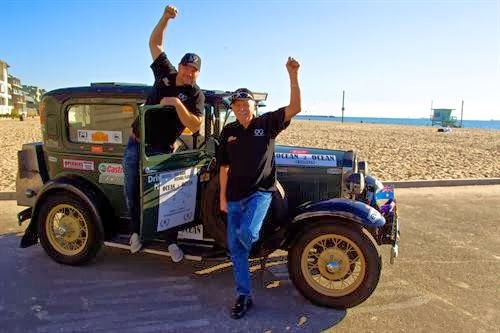 These smiley happy people are Rod Wade and Michael Flanders, pictured on Venice Beach in Los Angeles, having driven 3,000 miles from New York, non-stop in their 1930 Ford Model A. Their time of 50 hours, 20 minutes 6 seconds is a new record for a pre-war car. 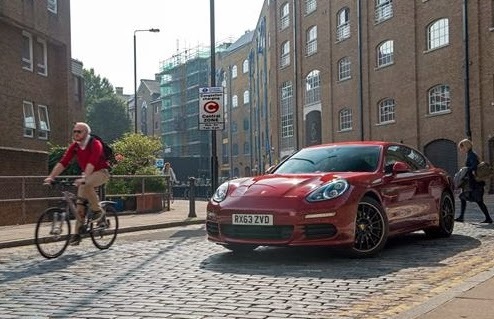 Porsche has confirmed that the 416bhp, 71g/km of Co2 Panamera S E-Hybrid will be exempt from the London Congestion Charge. With a top speed of 167mph, it has the slightly useless distinction of being the fastest car to be C-Charge exempt (it's not quite the quickest - the 0-62mph time of 5.5secs is around a second behind the Tesla Model S). Much more significant to the people who will actually buy the Panamera is that it carries a company car tax liability of only 5%. With a £88,967 price tag, that could save tens of thousands of pounds a year. Which would be enough for me to see past the styling.